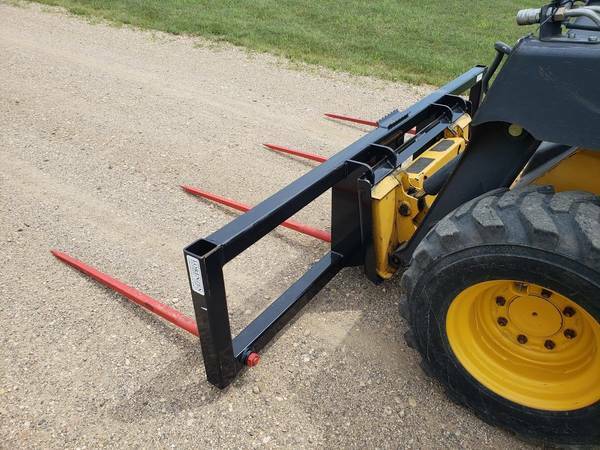 New bale spears. 4 main spears, each spear is rated at 2700lbs. 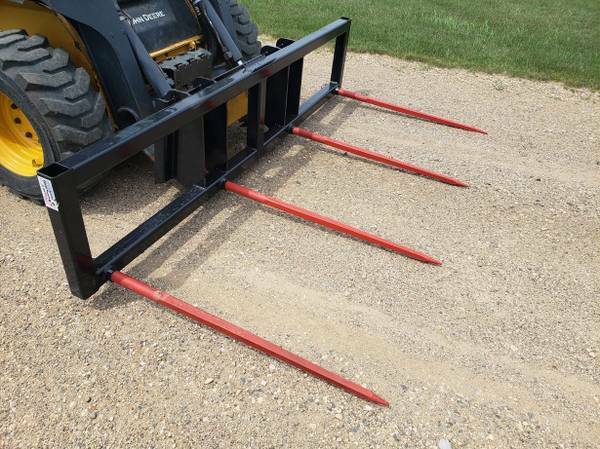 Comes with skid steer quicktach mounts. 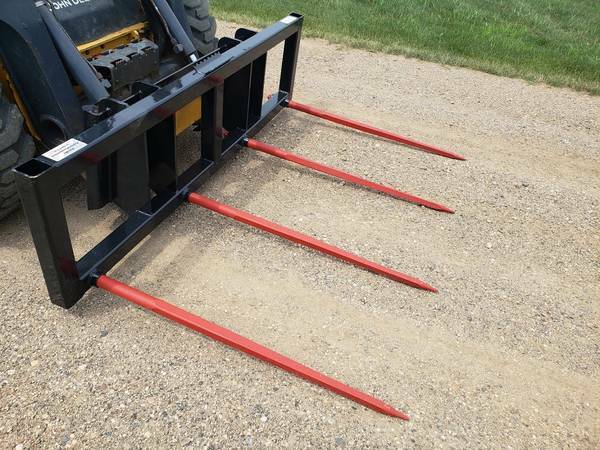 Also available for order with Global/ Euro and Latchbox ($200 extra) mounts.